Family members lend money to each other all the time, but this does not mean that doing so comes without risks. Unfortunately, many people lend close relatives such as their brother or sister money without ever receiving a dime of repayment. This can be damaging to the relationship and makes it more likely that the lender will not help other family members within similar positions because the perception will be that lending informally comes with too many risks. It’s wise to avoid lending money to friends that you know behave irresponsibly with money. You may value your friendship with them, but that doesn’t mean that your money is safe with them. If your good friend just needs lunch expense one day, you may not overthink it. But when it comes to lending big money, it’s different ball game. However, there are ways to loan money and ensure you receive a full reimbursement. As a first step, you always ask about the need for the money, being financially wiser, you should talk him out of a spend which can be avoided. The next step is to ensure that you have money to lend. I strongly suggest you borrow the money. If you have cash only then you’re in a position to help. Do not help with borrowed money, if you want to remain financially well. Follow the steps below when the need for the money is real and there’s no other source of money for your family member/friend. Before loaning any money to a relative or friend, you should sit down with the individual and decide what type of loan it should be. You must remember that a gift is not a loan, so if you decide to make this contribution a gift, you should not expect repayment. However, if the arrangement is a loan, you should put an agreement in writing. Private loans can be extremely risky and even more so if it entails a substantial amount of money. It can be a good idea to hire an attorney to write the financial agreement if the sum being lent is large. Alternatively, legal stationers offer template agreements for customization. Just be careful to choose a reputable supplier. If the family member does not agree to the terms that you set, it may be in your best interest to decline to offer. You should consider the risks of making the loan before you do so. Many people use the same rules when lending as when they delve into the stock market. For instance, you should never invest more money in the stock market than you can afford because the risks are high. Well, the same thing goes for lending money to family members. The likelihood of you receiving full repayment is extremely low, so never loan more money than you can actually afford. If you refuse to heed to this recommendation, you may end up finding yourself dealing with a substantial size deficit. While you always want to trust your family and friends, doing so is sometimes hard. 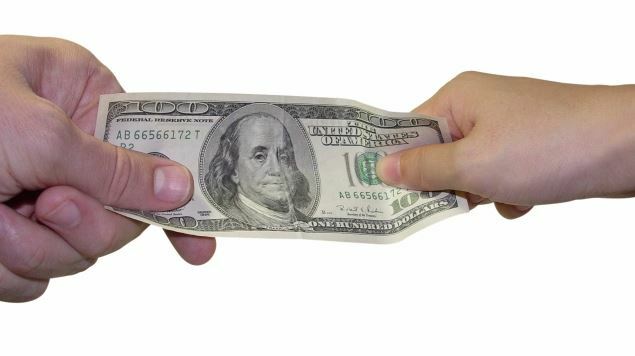 Anytime a family member asks to borrow money it is always best to just lend cash, and only lend a certain amount. You don’t want to lend credit cards because they can do irreparable damage to your credit, plus they will always know how to get access to your credit card if they see where you keep it. You never want to co-sign for anything either, because this is another situation where you could be left holding the bill at the end of the day. This is extremely difficult to follow. Charging interest to a family member or a friend might seem rude or completely unnecessary, but it can offer you much-needed protection. Not only does interest prompt the family member to pay back the cash in a hurry, but it can also prevent you from being charged a gift tax. Sometimes lending money to family members can be a sensitive subject. If you deny them the money it might hurt their feelings, but going into a lose/lose situation is something that you must avoid at all costs. Banks never just lend out large sums of money blindly without knowing how it is going to be spent and you should apply the same concept. If the family member becomes irritated that you are asking too many questions, just try to explain to them that you are trying to assess whether the investment is a good one, and if they are unwilling to be open about their intentions, maybe they should consider other options. For instance, if you have a family member that want to borrow a few thousand dollars for a down payment on a car, you need to consider the condition of the car, the make, and model and the miles per gallon. If your family member is trying to buy a muscle car when they have a kid on the way, you might want to prompt them to really think about what they are doing. This is a very tricky topic. If someone chooses to lend money to family, they may secretly pretend it’s a gift to their family and not make a fuss about late or non repayment. If the money is unavailable, or if you know the money will not be returned and that harms your financial position, then it’s a good idea to be upfront about not lending it. Relationships are worth preserving and clear communication is critical. This is a tricky topic. I think everything you have written are great to safeguard the loaner in 90% of the cases. In particularly difficult situations – if you’re not ready to commit to the chance that this won’t be a loan and you might never see those coins back…it’s better to say no because otherwise the outcome might be an ugly one.